The filmmaker behind Leviathan, this year’s Russian submission for the Academy Award for Best Foreign Language Film, answers questions from RBTH about his film, cinema, modern society and film distribution. The film Leviathan by Russian film director Andrey Zvyagintsev received the award for Best Script at this year’s Cannes Film Festival, has been submitted for an Oscar nomination and was recently named the best film at the BFI London Film Festival. 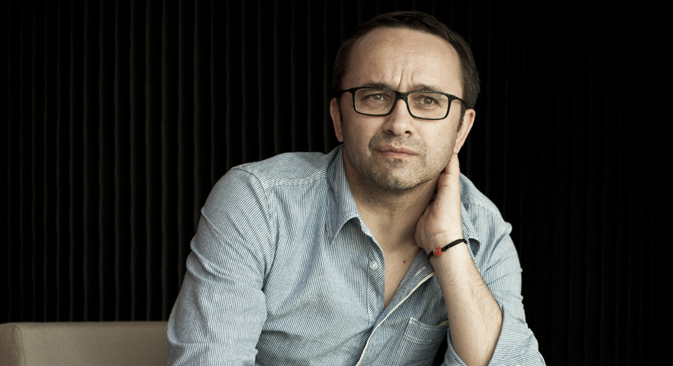 In an interview with RBTH, Zvyagintsev discusses the selection of his film as Russia’s Oscar submission, the relationship between spirituality and the rule of law, and what an ideal state should strive for. RBTH: Your film is based on the story of Marvin Heemeyer and his struggle against the state machine. What got you interested in the American’s story and why did you decide to move it to a Russian setting? Andrey Zvyagintsev: Marvin John Heemeyer had a muffler shop standing on a plot of land that a cement plant wanted to buy from him. Marvin refused a deal and the cement plant built a fence around his property, blocking access to it. Having despaired, Marvin then took a bulldozer, drove it through the plant and several other buildings and then killed himself [Heemeyer had modified the bulldozer by adding armor-plating – RBTH]. RBTH: What is your take on the debate that is now gaining currency about the alleged lack of spirituality in the West as opposed to Russian spirituality? RBTH: By selecting Leviathan, the Russian Oscar committee appears to have changed its tactics: Previously it tended to give preference to large-scale, epic movies, whereas now it has opted for a low-key social drama. Why, do you think? RBTH: You make films that do not seek box-office success or a mass audience. And yet your complex, intelligent films, which have all the hallmarks of an art-house offering, manage to captivate a mass audience. Where are your films better received: in Russia or abroad?